Today's stage of the Tour de France begins near the city of Reims, in the Champagne-Ardenne region. I remember going to the Veuve- Clicquot cellars when I was about twelve years old and giggling with my classmates through our sip of champagne. I have twice lived and once attended elementary school in Reims thanks to a very robust student exchange. In South Florida I was enrolled in magnet program that was jointly funded and accredited by the Miami-Dade County public schools and the French government. Other than a requisite English course each year, all of our classes were taught in French (including Maths and Science) by native francophone teachers from Grade 3 - Grade 10 . As I moved away to prep-school and then college, I had to mostly conduct independent studies because few classes had been tailored for native French speakers. I consider myself enormously fortunate to have learned French in this kind of immersion environment and for the International Baccalaureate degree. It has allowed me to travel abroad confidently, work as a professional translator and a cheese monger (I used to have a cheese blog), and confuse everyone with my easy accent. I would love suggestions for contemporary French literature. Not surprisingly, I developed an affinity for French food at a young age. 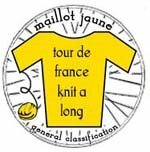 As part of the Tour de France Knit-Along I'd like to share a special recipe, wine suggestion, or favorite cheese when the knitting content around here is a bit sparse. I'll try to keep it relevant to the stage of the day whenever possible. Le Chaource, pictured above, is a creamy cow's milk cheese best from July to October. It is ripe when the middle sags a bit and the edible rind yields a creamy-almost-liquid pâte. It is an excellent complement to champagne. Try it spread on a piece of baguette or with strawberries. Other than in its namesake town, Chaource is made in the departments of Aube and Yonne in the Champagne-Ardenne region, conveniently, the blue feed zone area through which the cyclists pass today. Last year I traveled to Paris & Strasbourg to watch the Prologue and 1st stage of the Tour de France. I hope to make it back next year, but for now the closest I'll be is Versus tv coverage. 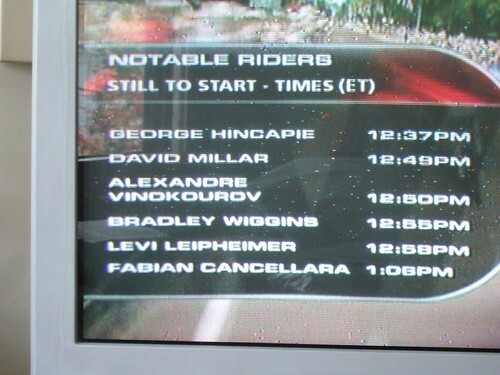 Fabian Cancellara from Team CSC blew away the competition with his 8 min 50 sec performance in the Prologue in London today. These are the most amazing athletes on the planet. 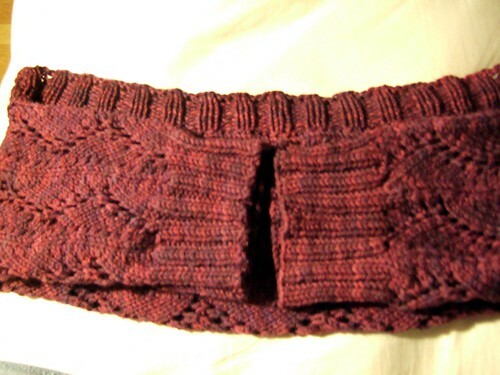 I'll be (re)knitting Debutante for the Tour de France Knit Along but spent the day finishing Kay's Dream in Color shrug. 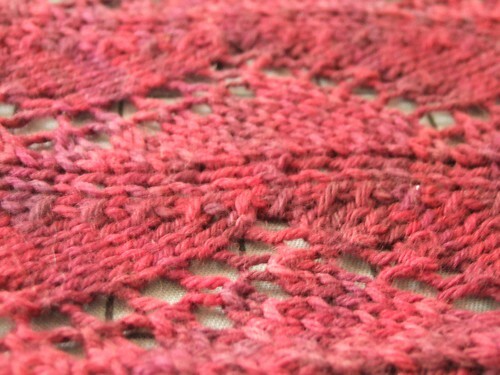 Only seam 7.5 inches as indicated in the pattern or you won't be able to get it onto your shoulders. Use a very stretchy cast-off or you won't be able to get it onto your shoulders. Photos of the great fit tomorrow.